Mano, maybe this one would work better on N64. Jano Skip 3 doesn't involve entering pause and void glitch, it is rather a frame perfect damage. Glackum was the first one to ever get it on video. Robin gave me a basic idea of setup, which I've tried to improve - thanks a lot! Mano, maybe this one would work better on N64. Jano Skip 3 doesn't involve entering pause and void glitch, it is rather a frame perfect damage. https://www.youtube.com/watch?v=uYIyh5ekl4k Glackum was the first one to ever get it on video. Robin gave me a basic idea of setup, which I've tried to improve - thanks a lot! Good to see that there's finally a way to get to that loading zone. Nice finds. I also saw the Rock and Lava out-of-bounds glitch in your any% run: [url]https://www.youtube.com/watch?v=yWTxGs7xHUI&t=55m39s[/url] Good to see that there's finally a way to get to that loading zone. However, we believe the void glitch is not exactly the same hard in different levels, even though it is considered to be just frame perfect - maybe there is some stuff which eats some frames, we don't know yet. Also, if I understood correctly, the void glitch is not working under N64? There are another skips you could perform with void glitch: 1. skipping laser in FG3 - it just doesn't apppear - you will find it in my treasure% run (22:10*) 2. entering CoBD early without visiting Clark - however it works only with cutscene skips 3. skipping orbs in CoBD1 since the mouth is not solid in void mode However, we believe the void glitch is not exactly the same hard in different levels, even though it is considered to be just frame perfect - maybe there is some stuff which eats some frames, we don't know yet. Also, if I understood correctly, the void glitch is not working under N64? Our member CoCo found a way to clip in CoBD2 at very beginning. We've improved a setup a little bit. I am gonna present my setup and a setup by MoonsPod. Seems to be slower for route (including backup for missed lums) by about 30s than Jano skip 2.0 (the void one). Our member CoCo found a way to clip in CoBD2 at very beginning. We've improved a setup a little bit. I am gonna present my setup and a setup by MoonsPod. https://www.youtube.com/watch?v=9ntTQiYjfN8 Also a setup by MoonsPod: https://cdn.discordapp.com/attachments/132499708533932032/534304062779162624/Clippy.mp4 Seems to be slower for route (including backup for missed lums) by about 30s than Jano skip 2.0 (the void one). Yep, I haven't been able to get it to work. I'll try Jano skips 3 and 4 some time. [quote="Darnok_PL"]Also, if I understood correctly, the void glitch is not working under N64? [/quote] Yep, I haven't been able to get it to work. I'll try Jano skips 3 and 4 some time. Nice. I played around with it for a while, but it seems pretty tough. No luck reproducing Jano skip 4 on N64. Nice. I played around with it for a while, but it seems pretty tough. No luck reproducing Jano skip 4 on N64. There was a pretty big glitch found recently, which involves teleporting into arbitrary place by grabbing a ledge somewhere before and jumping onto some sloped floors. We called it Glitch Location Manipulation. So in short - if you find a specific slope location (in Raymap map viewer it is a "green" floor) and grab a ledge somewhere, you can make manipulate the vector40 which contains Rayman's grab location and a result make Rayman wronggrab different walls. We used to think for a long time, it was related to a shell but actually, the only things that matter are grabbing a ledge and jumping on a slope. I was told this glitch also works on N64, however height increase (so setups) might be different. There was a pretty big glitch found recently, which involves teleporting into arbitrary place by grabbing a ledge somewhere before and jumping onto some sloped floors. We called it Glitch Location Manipulation. Here is a video by Robin which explains this glitch: https://www.youtube.com/watch?v=osG4lSJ6tZg So in short - if you find a specific slope location (in Raymap map viewer it is a "green" floor) and grab a ledge somewhere, you can make manipulate the vector40 which contains Rayman's grab location and a result make Rayman wronggrab different walls. There are 2 useful skips already with this glitch: [hidden] https://www.youtube.com/watch?v=sFcOvdd1GJ0 https://www.youtube.com/watch?v=RvwcLHVkL7s [/hidden] Originally it was found by accident. 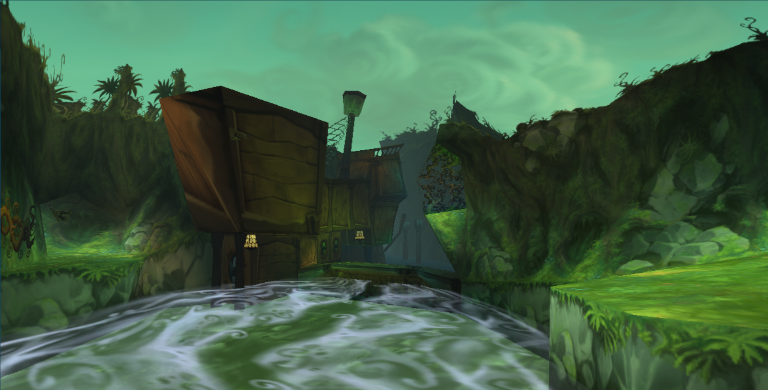 Firstly, our runner Moonspod got a teleport from a shell: [hidden] https://www.youtube.com/watch?v=NV6No09gMxw [/hidden] We used to think for a long time, it was related to a shell but actually, the only things that matter are grabbing a ledge and jumping on a slope. I was told this glitch also works on N64, however height increase (so setups) might be different. Wow, that's an awesome glitch. When you jump, does the grab location move in the direction Rayman is facing? From the point of view of the code we know that the xy-change of grab location moves dependent on Rayman's angle and probably nothing else, but it is not exactly the direction Rayman is facing. Well, that was an idea I was studying a lot. 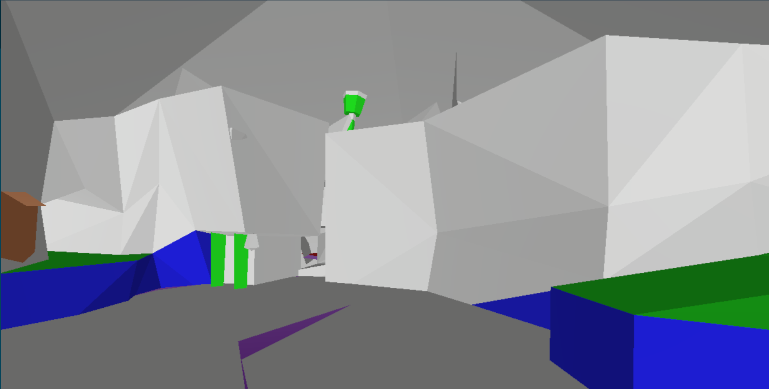 However, the only slope suitable to perform this glitch is located at very beginning of the level (in tree section). The only grabbable ledges (at least on PC) are located in final section, with the cage. You would be able to perform some teleports by coming back to the beginning, which is possible by backjumping in slide section... but sadly touching the slide resets the variable required. To be able to get any GLM in Fairy Glade 2 you need to either find a grabble ledge in tree section or find another suitable slope. Teleporting very high in tree section might also work out - I tried it with moonjump and you can actually fly to the warp trigger. Well, that was an idea I was studying a lot. However, the only slope suitable to perform this glitch is located at very beginning of the level (in tree section). The only grabbable ledges (at least on PC) are located in final section, with the cage. You would be able to perform some teleports by coming back to the beginning, which is possible by backjumping in slide section... but sadly touching the slide resets the variable required. To be able to get any GLM in Fairy Glade 2 you need to either find a grabble ledge in tree section or find another suitable slope. Teleporting very high in tree section might also work out - I tried it with moonjump and you can actually fly to the warp trigger. My dream is complete--sub-2:30 100% and sub-2 any%! Just a few years ago, it seemed impossible. 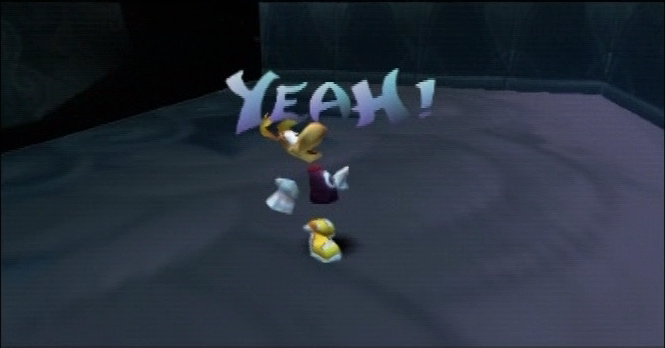 But with the work of Rayman 2 players around the world, the impossible became possible. Today, the possible became reality! I'll post the run as soon as I can. Sub 2 hours finally happened! Congrats ManoCheese! I will make sure to watch the run back in full (when you submit this speedrun to SDA if you do). Do you think you would try to bring the time down further? Thanks. I haven't ruled out improving the run some time in the future, but for now, I want to take a break from Rayman 2 and play other games. Still improvable by maybe a minute, but I don't think, it is worth trying - I had better remake 100%. And here is my new WR on PC - with most of modern skips and strats: https://www.youtube.com/watch?v=nvxA2wDY-X8 Still improvable by maybe a minute, but I don't think, it is worth trying - I had better remake 100%.